Our Mr. 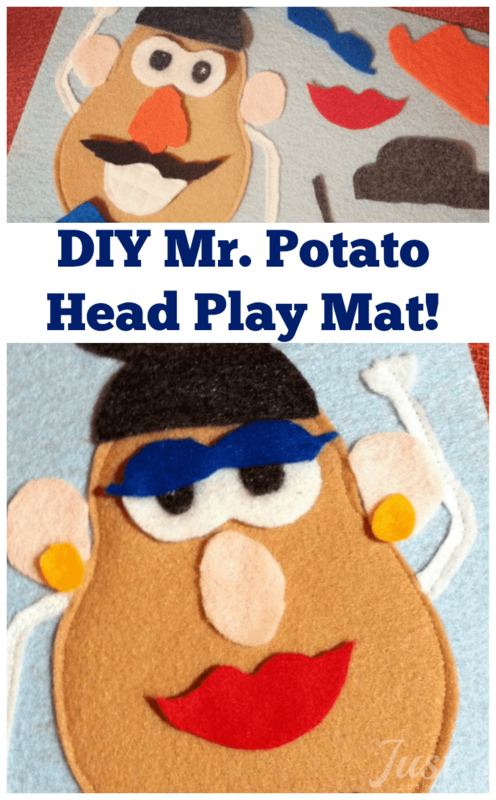 Potato Head play mat made from felt is great for travel or whenever you need to keep little hands (quietly) occupied, whether you’re driving around town or on your way to Disney World. Summer is here and while there are plenty of opportunities to run and play, sometimes you need some quiet activities or crafts to keep little hands occupied without too much noise. This little Mr. 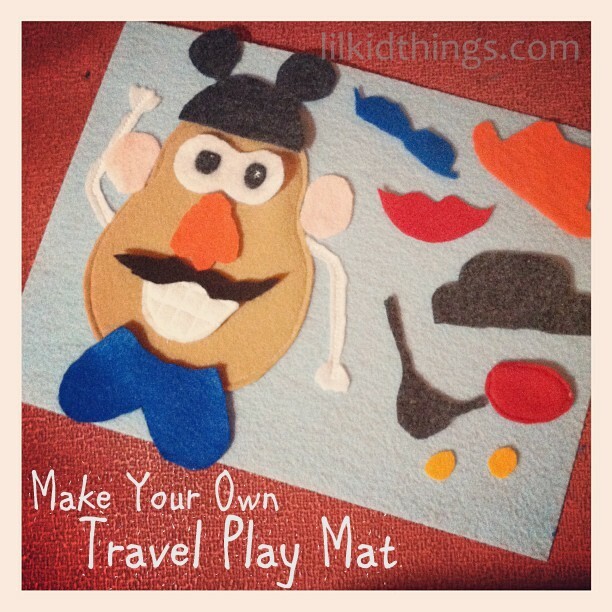 Potato Head play mat is great for travel or whenever you need to keep little hands (quietly) occupied. I love the idea of quiet books because they can be played with virtually anywhere. Post contains affiliate links which means I may earn money for purchases made. If you are looking for quiet books to play with on the road, I have a great addition for you. We are big fans of Mr. 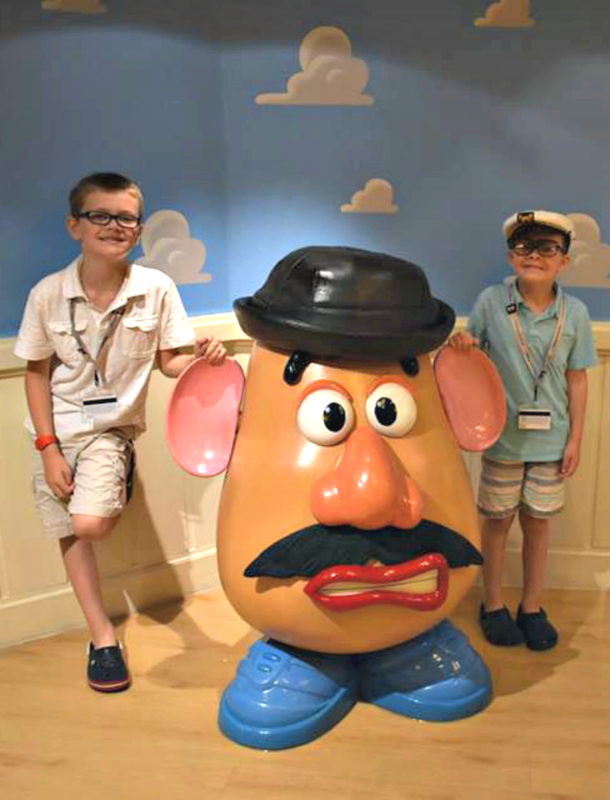 Potato Head and when my oldest was younger, one could say he became a bit obsessed for a season. Knowing that he was really into Mr. Potato Head , I thought I would try my hand at a felt Mr. 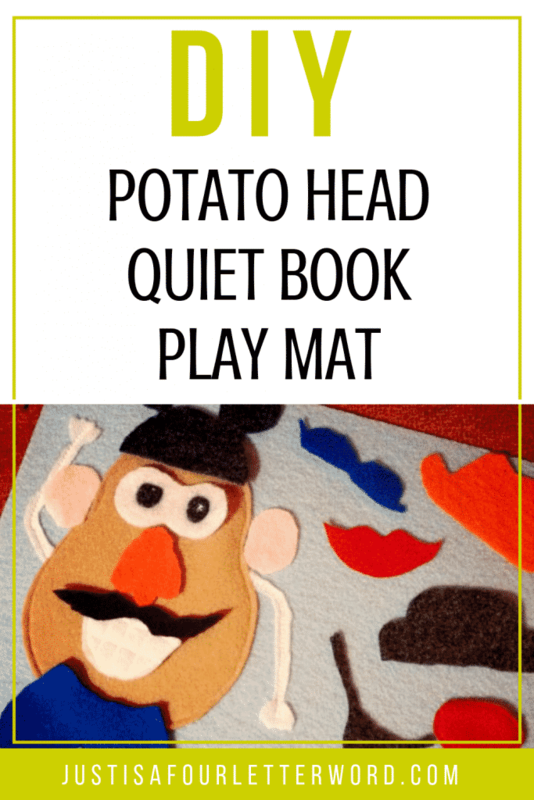 Potato Head quiet book page for our long drives to Disney World. I found a pattern for cutting his pieces out of felt and printed it out to get started. It seemed simple enough and to my satisfaction, it was! This potato head craft can be as simple or elaborate as you want. You just need a few supplies. 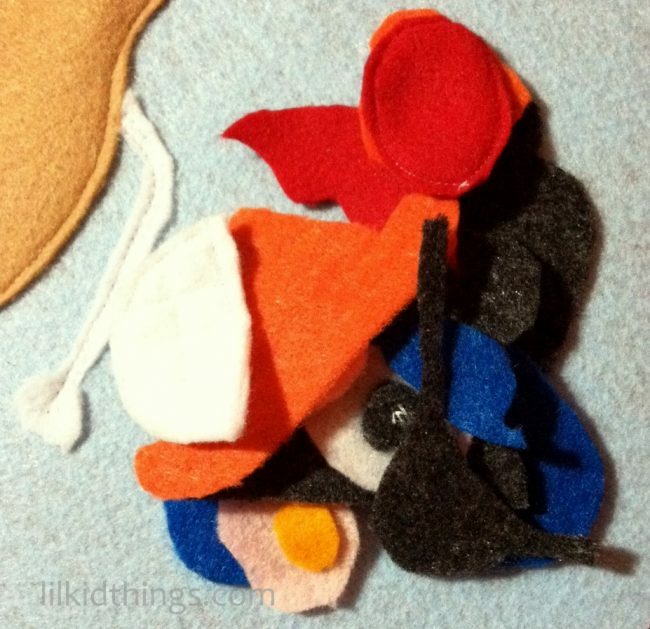 I chose a few of the traditional “parts” that I know Oscar loves – the orange nose, the teeth, the mustache – and then created a few of my own for fun like the Mickey ears and the eye patch. Once I had the basics down, cutting a few new pieces was super easy. Depending on your destination, the possibility for costume changes are pretty much endless! I am seriously considering a pair of Buzz wings and a Woody hat at the moment in honor of Toy Story Land! For the backing, I chose a stiffened felt page so there would be some stability to the whole thing rather than a typical page that might be found in a book. I also thought it would be a good idea to attach it to a clipboard so Oscar doesn’t have to worry about the page flopping around, sending stray pieces flying. 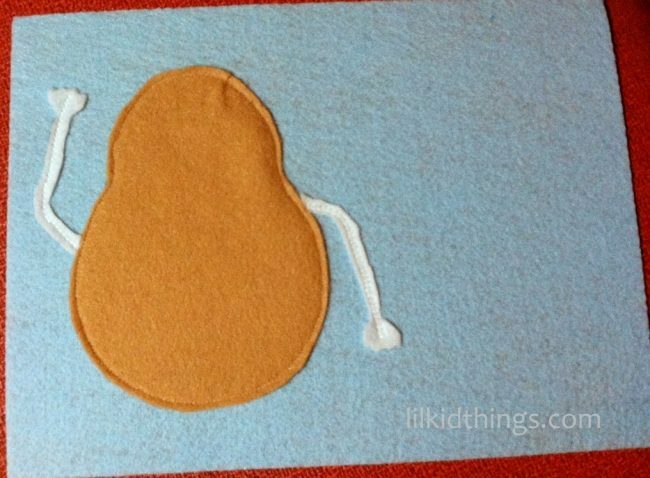 I sewed the potato body and arms to the page but all the other parts are loose. Honestly, you can get as detailed as you want here. It’s Mr. (or) Mrs. Potato Head! Don’t have time to make your own? You can order one from Amazon! Want more? Here are more toddler crafts, games, tips, and more for you to read! Originally posted April 2012. This turned out SO darling! Thanks for sharing with me! I love this idea! I started making one for all the kids in the family for Christmas but I don’t know if I can wait that long to give it to them! Thanks so much! My kids love it. This is so cute! My daughter would love it!